Overview of will executor services. You’re deciding who to name as executor in your will and you’re not sure if any of your friends or family are quite the right fit. Or, maybe you just don’t want to burden any of your friends or family with this enormous duty after you’ve passed away. If you’re looking for a professional service to fill this void, it really boils down to two options: banks or attorneys. Banks have entire trust departments dedicated to serving this type of client and doing this kind of work. However, bank fees can be a little bit on the steep side and most banks have minimums. For example, most banks won’t accept estates under five million dollars. A good attorney can make a good choice for executor, but most attorneys only serve as executor every few years or so and haven’t really built up the experience. I’m trying to fill that gap. I’m an attorney who’s been executor for over 100 trusts and estates and I work with all sorts of clients, not just the uber wealthy. When Are Letters of Administration Required? 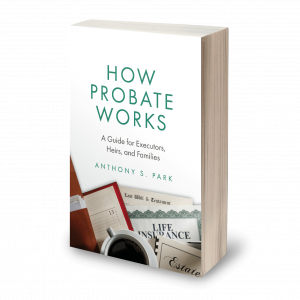 Is Probate Necessary If There is a Will?